Do you know that you can easily make ice cream without an ice cream maker??? You only need a blender and you can enjoy a guilt-free dessert. Talk about easy! Well, it’s not really ice cream but I promise, the consistency is very similar to ice cream…creamy, sweet, cold and it’s so good! 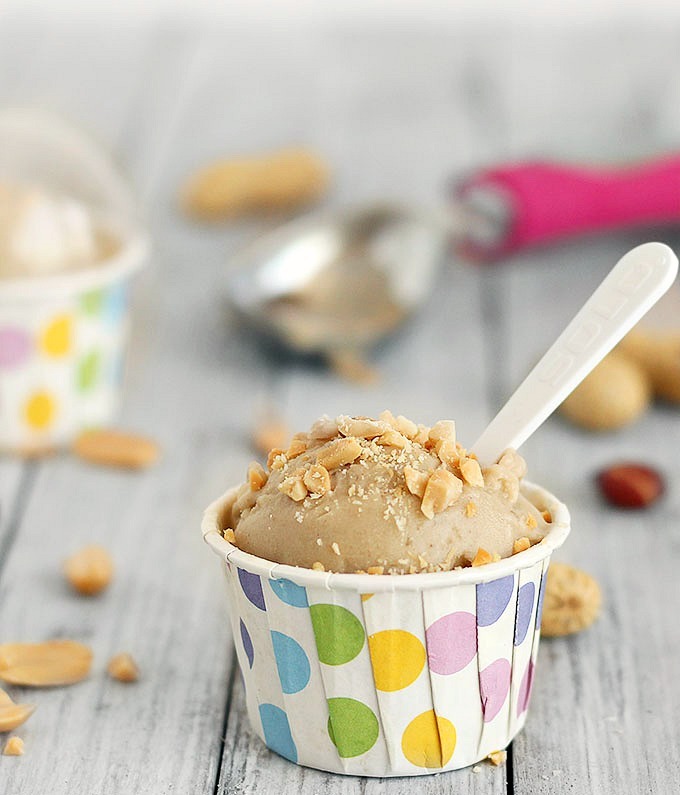 This peanut butter banana ice cream is made with only two ingredients, no dairy, no added sugar, vegan, super healthy and tastes amazing. The ingredients? Frozen bananas and peanut butter. The riper the bananas, the sweeter the ice cream will be. Freeze chopped ripe bananas, put them in a blender and blend until totally creamy and delicious. Add the peanut butter and pulse until combined. You can eat your ice cream as soon as it’s done or, if you like it really firm, put it in the freezer for an hour or two then scoop it into bowls or cones. It’s also very quick to make, especially if you already have frozen banana in the freezer. You can add a few extra toppings, like nuts or some chocolate chips to make it even tastier. You can even replace the peanut butter with cocoa powder and make chocolate banana ice cream. If you are craving ice cream and looking for a healthier alternative, this peanut butter banana ice cream has only 150 calories per serving! It’s almost too good to be true! 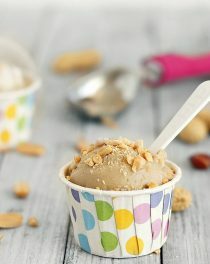 Peanut butter banana ice cream: 2 ingredients, no dairy, no added sugar, vegan and super healthy. Only 150 calories per serving. 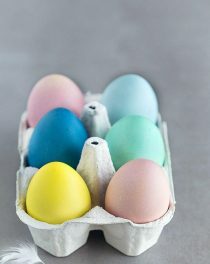 Place them on a plate and freeze until solid, around 2 hours. 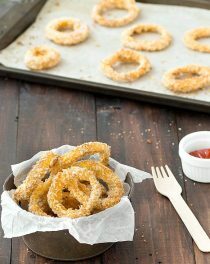 Once frozen, put them into a food processor and blend until creamy.You can scrape down the sides if needed. Add the peanut butter and blend until incorporated. 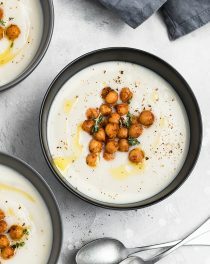 Serve immediately or place in a container in the freezer. Before serving sprinkle with chopped peanuts. 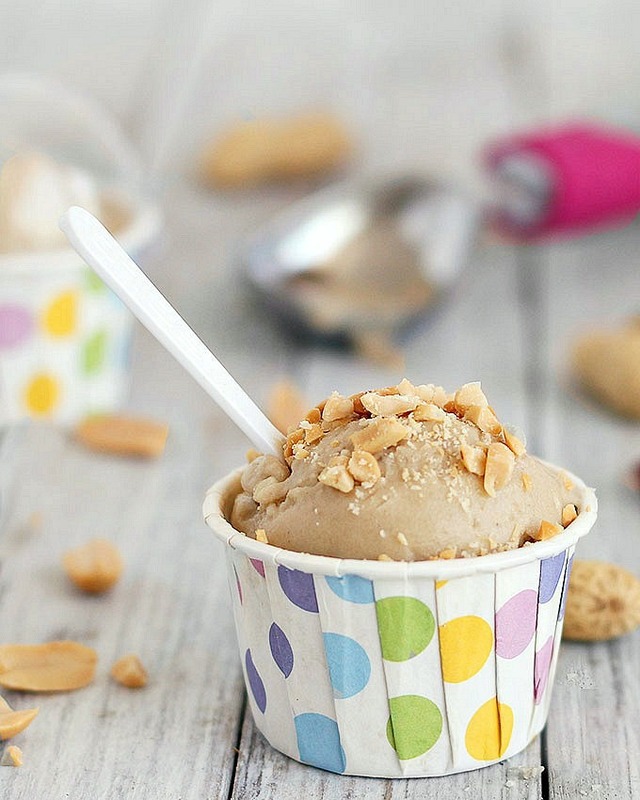 Enjoy this creamy peanut butter banana ice cream!